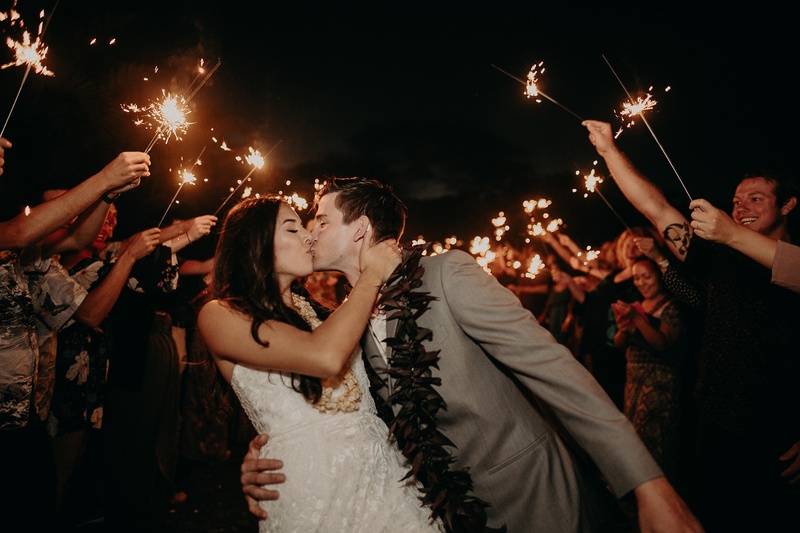 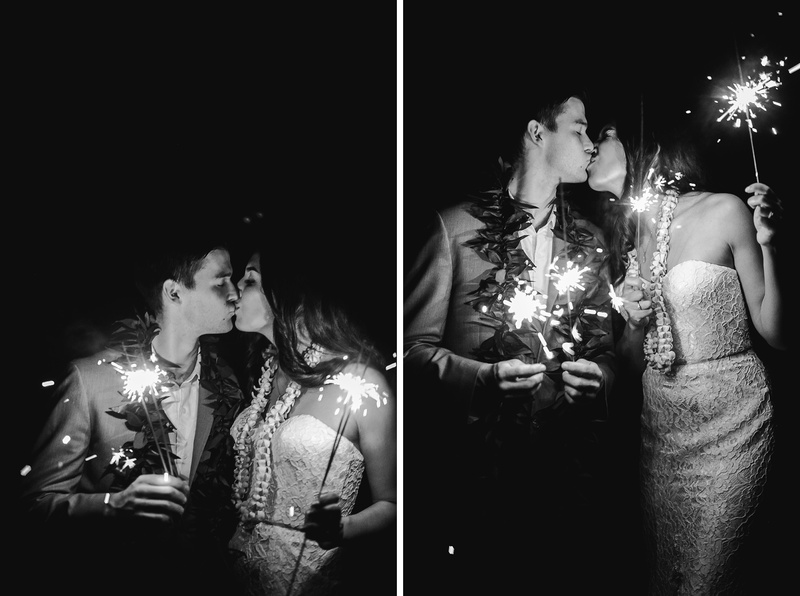 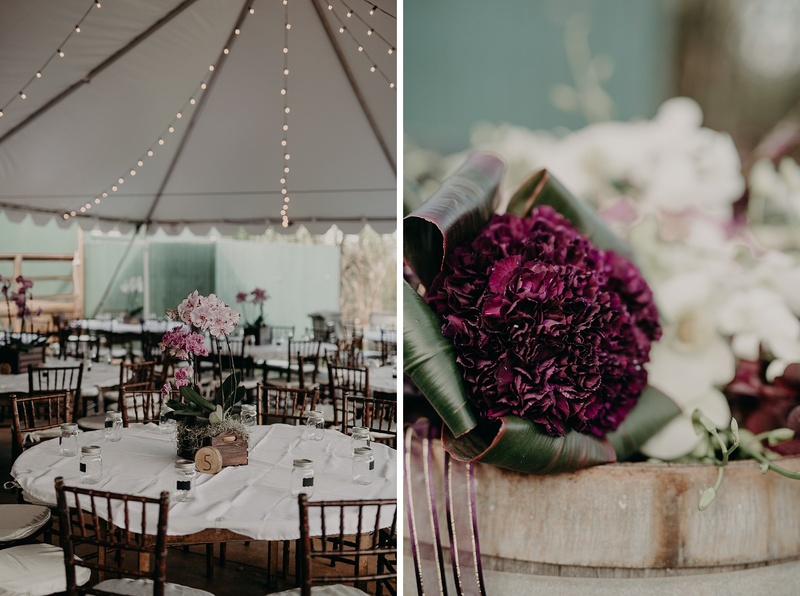 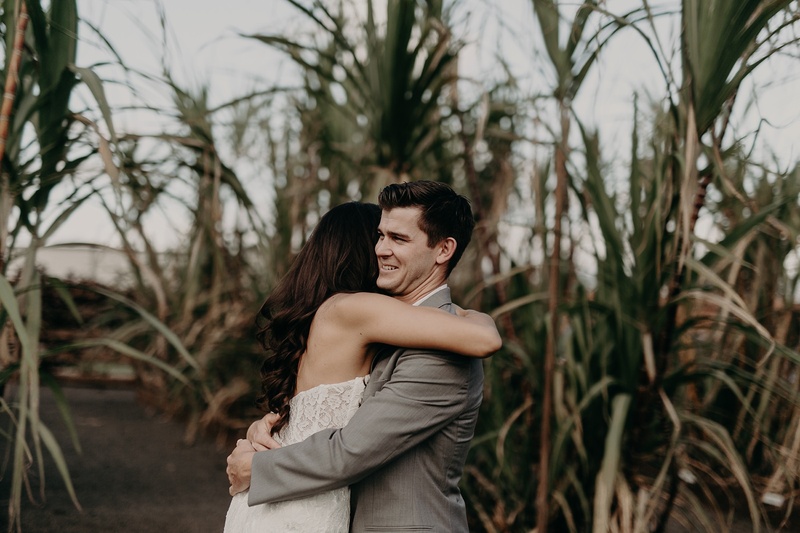 Bri and Daniel had been married almost a year when they were finally able to have a wedding celebration surrounded by all their close friends and family. 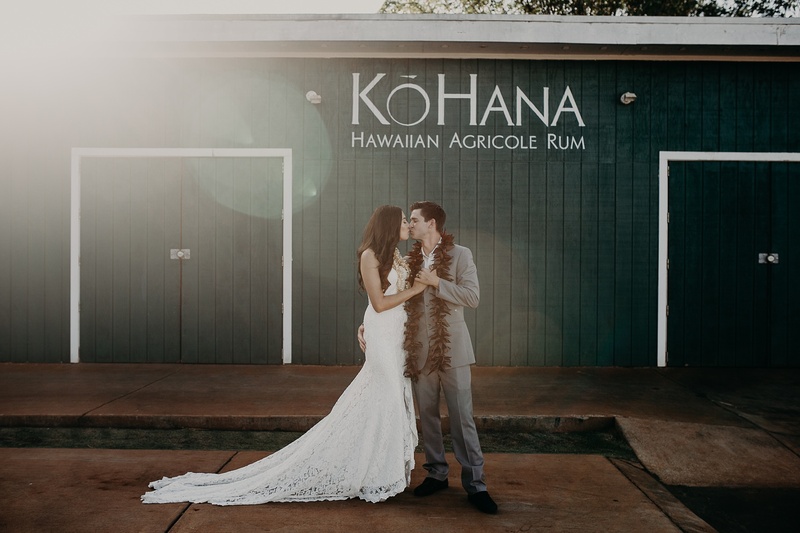 They chose the beautiful Kohana Rum Distillery in Waipio, Hawaii. 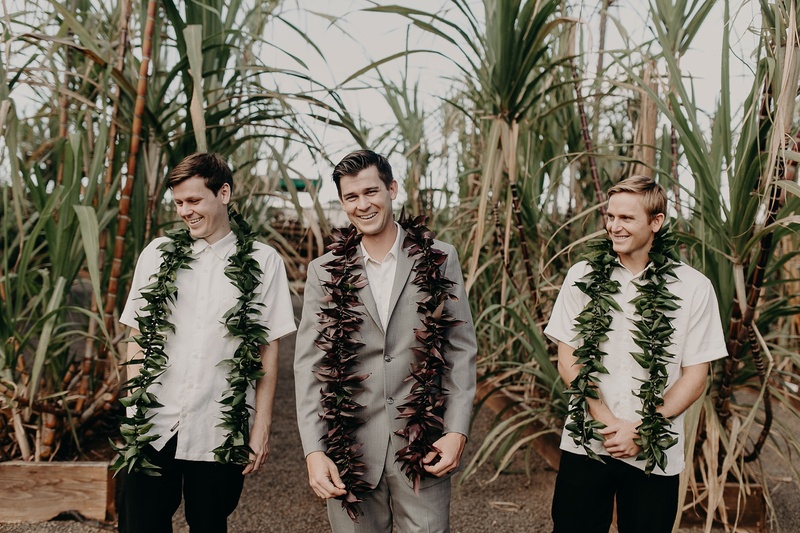 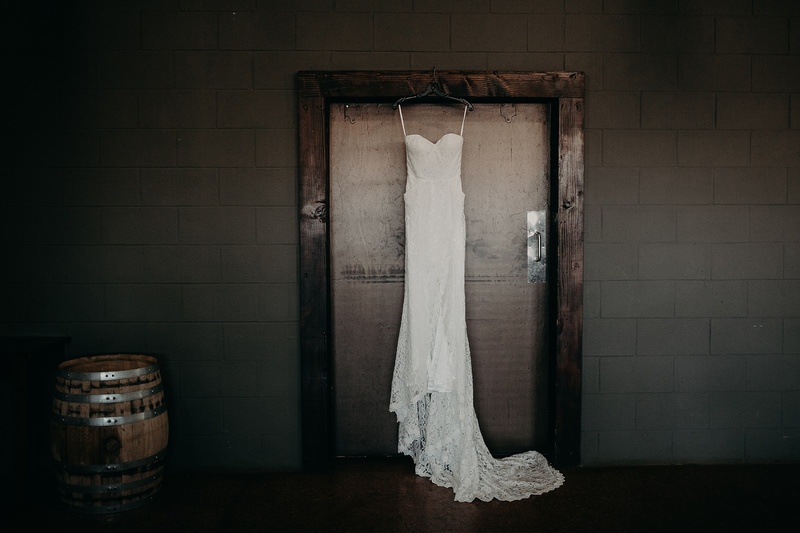 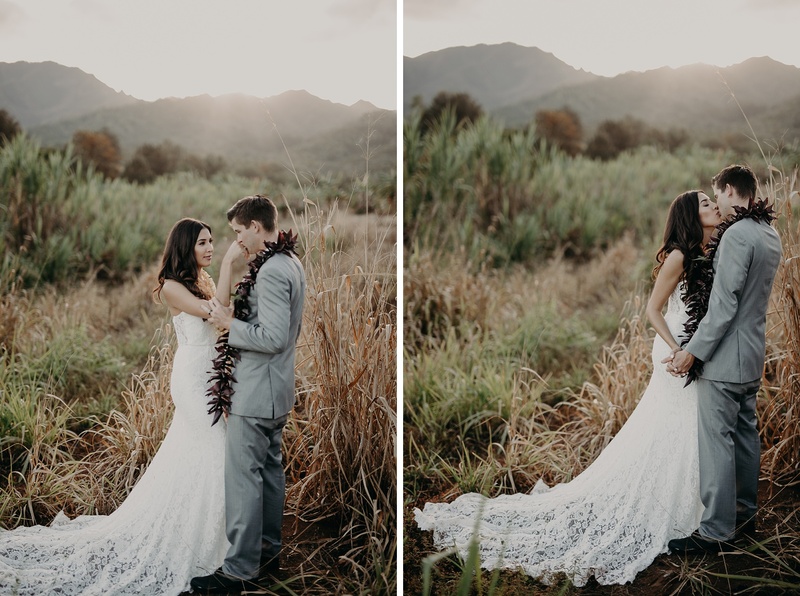 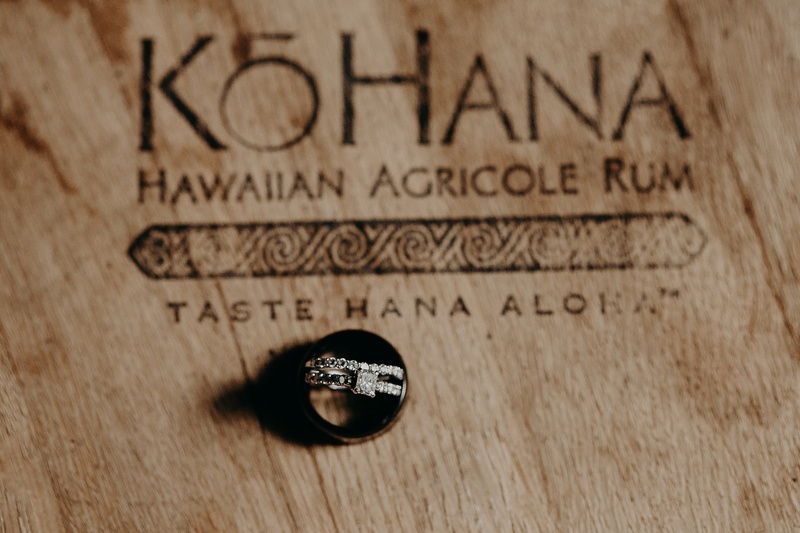 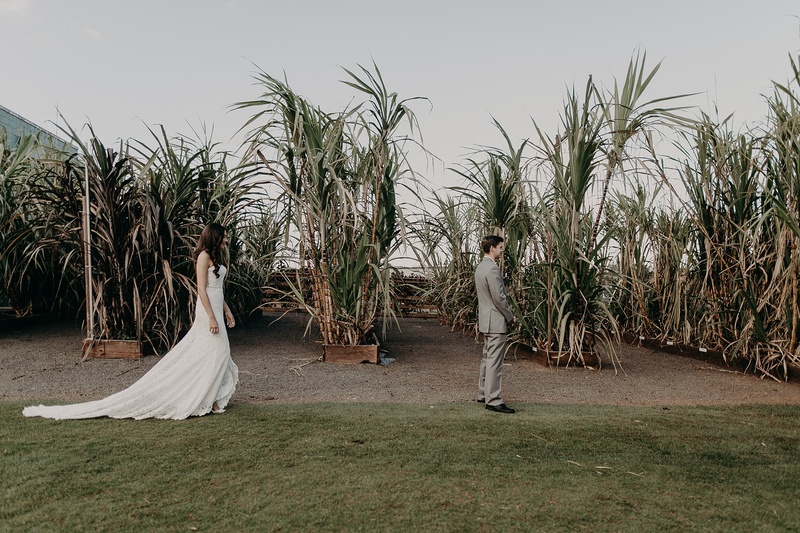 The venue is home to acres and acres of amazing sugar cane fields frames by the breathtaking Waianae Mountain Range. 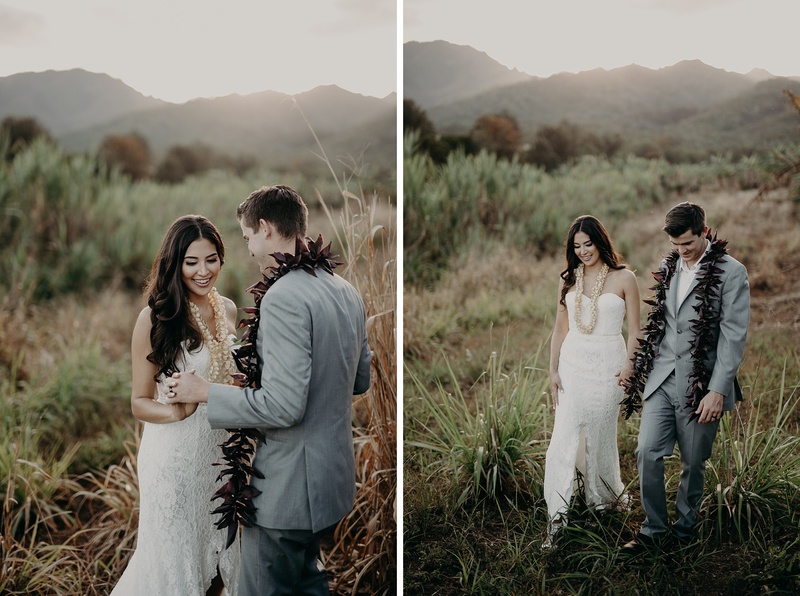 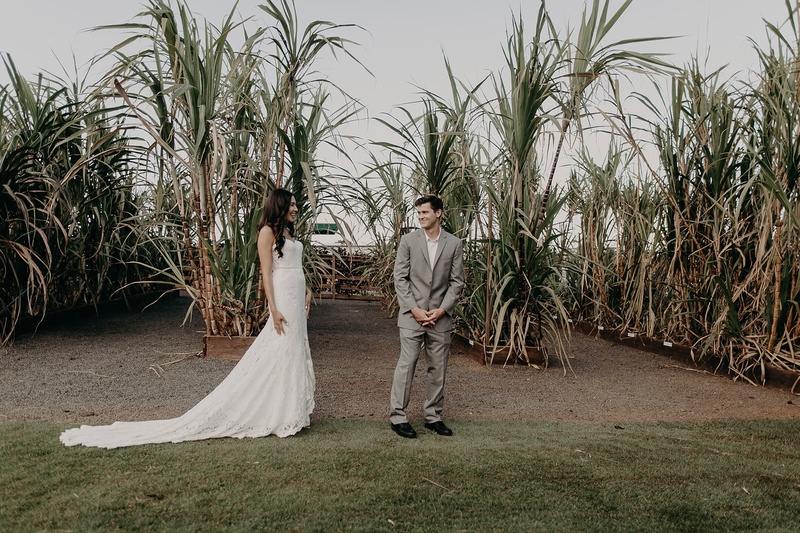 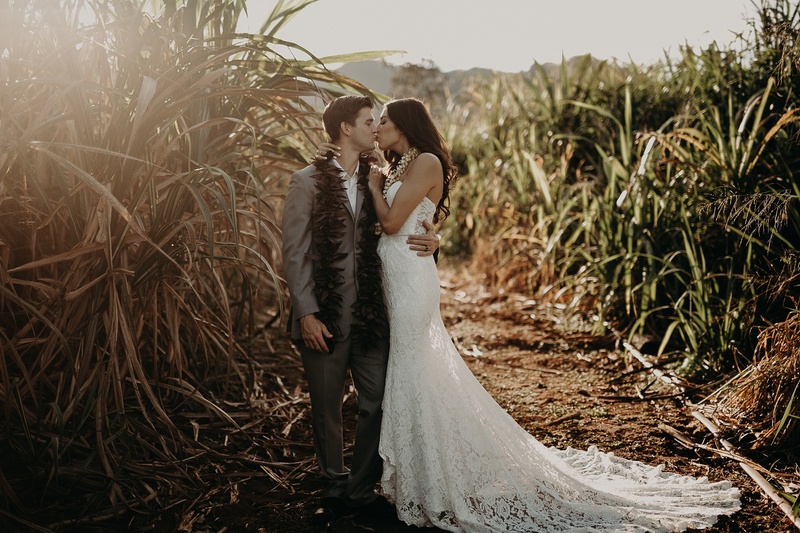 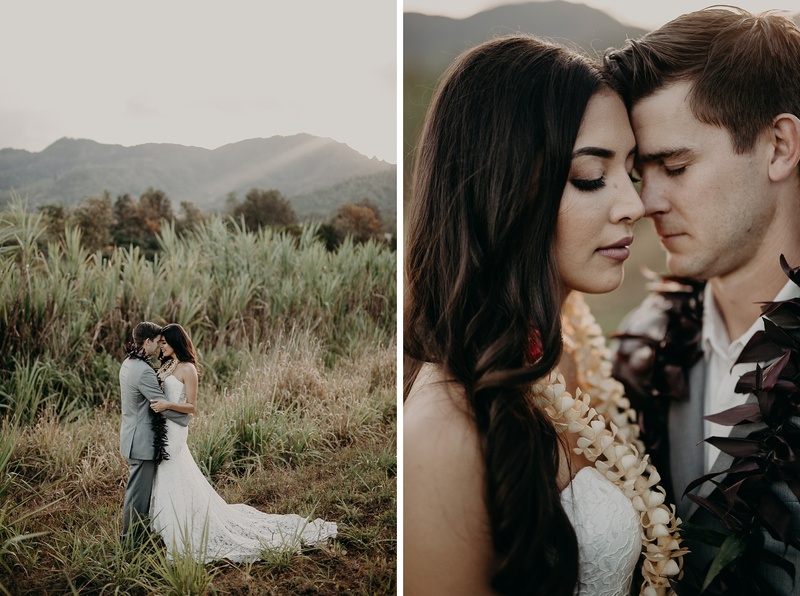 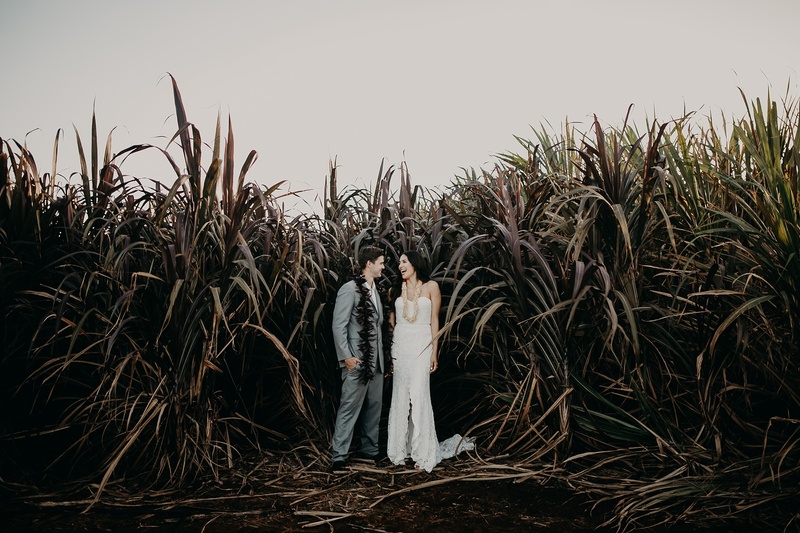 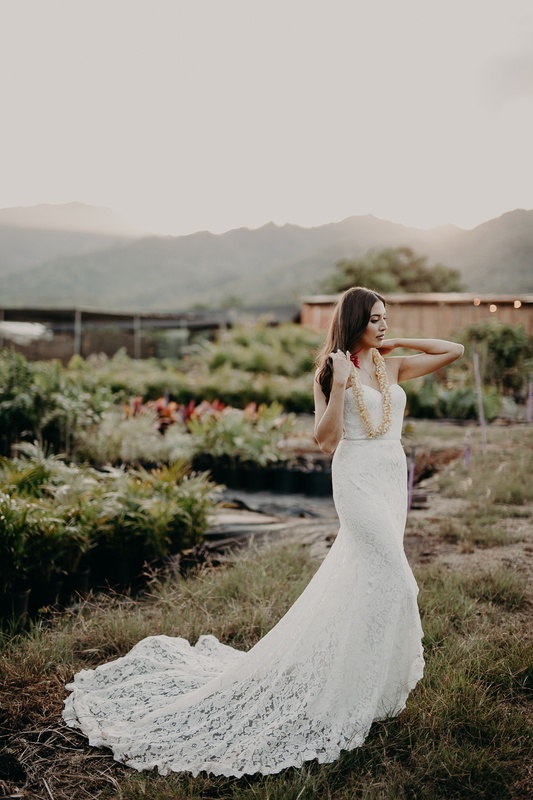 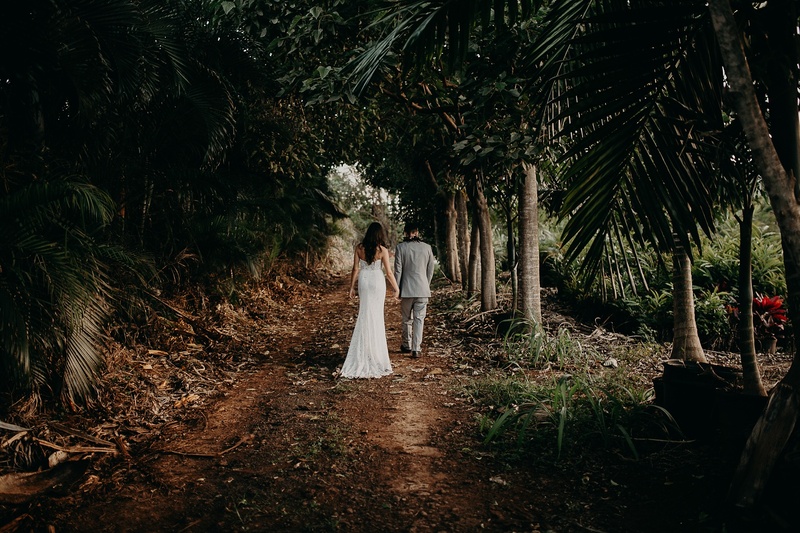 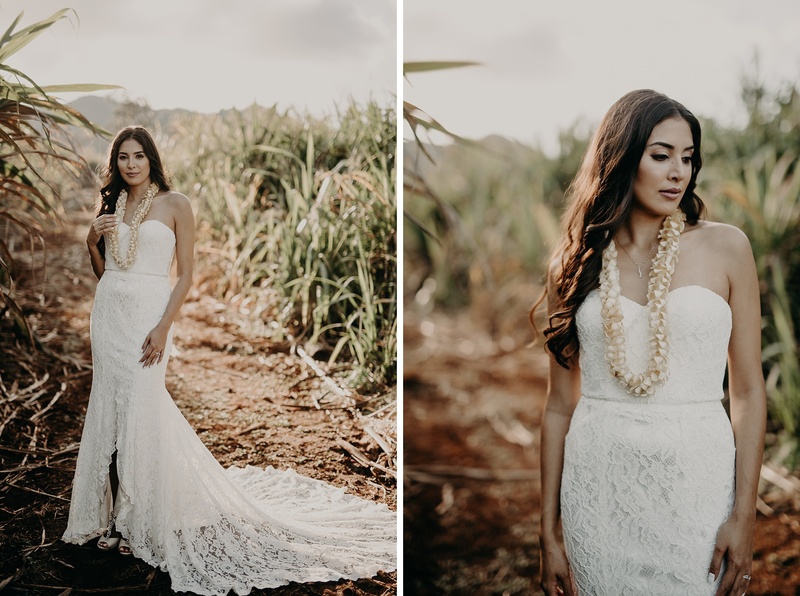 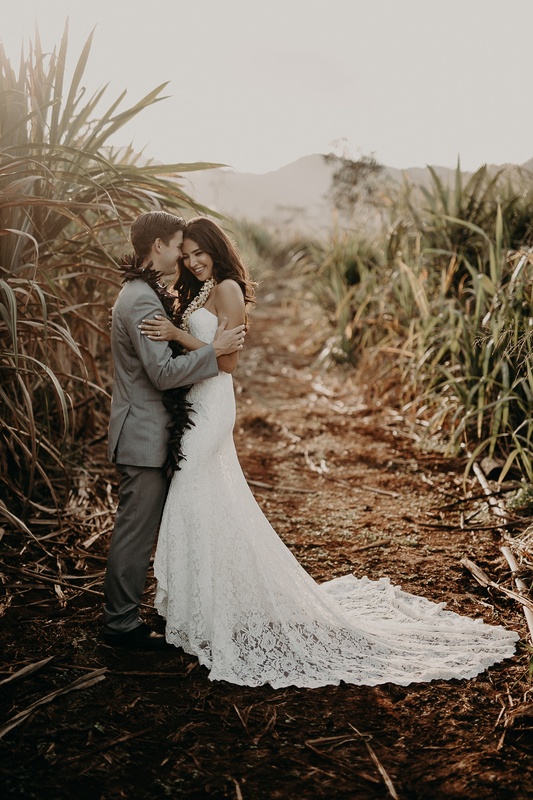 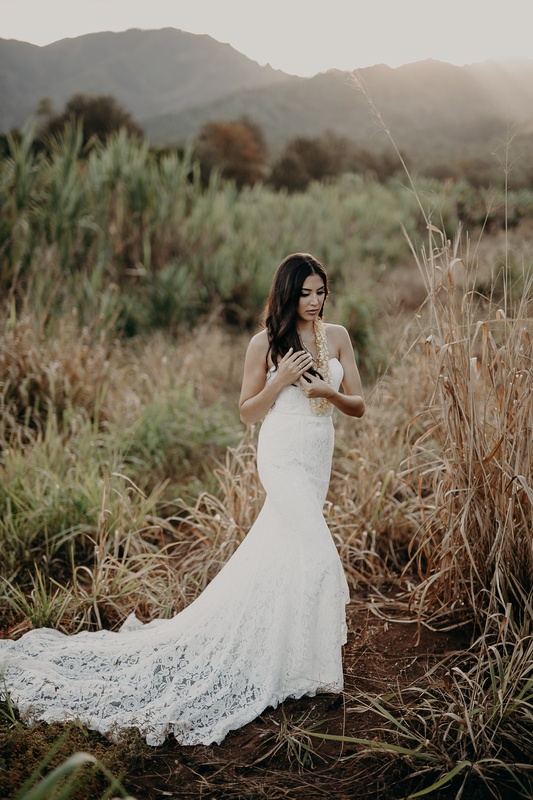 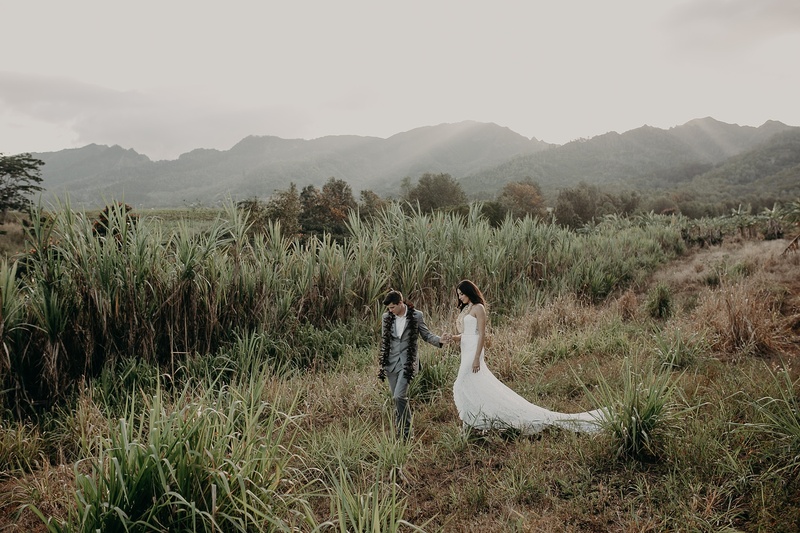 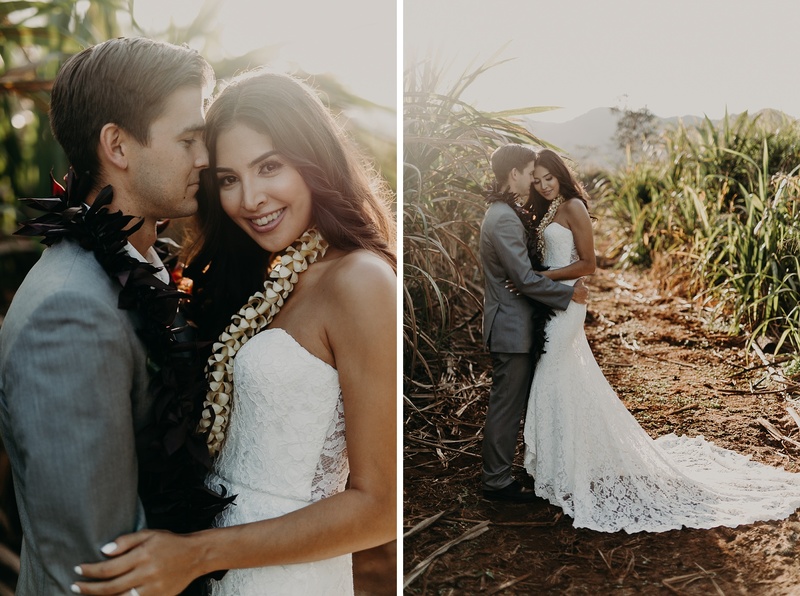 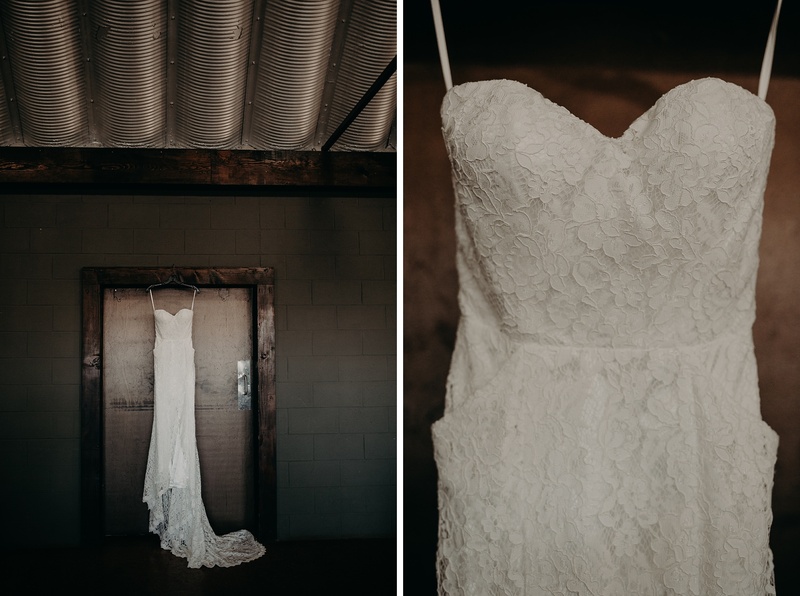 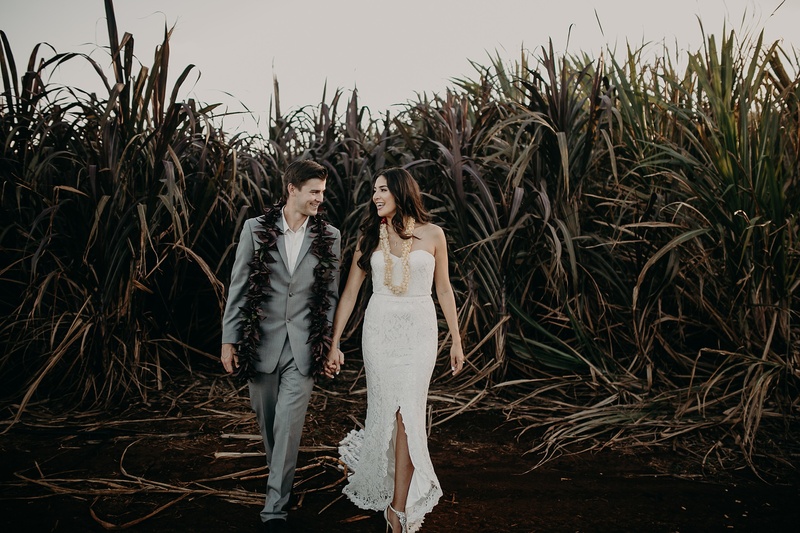 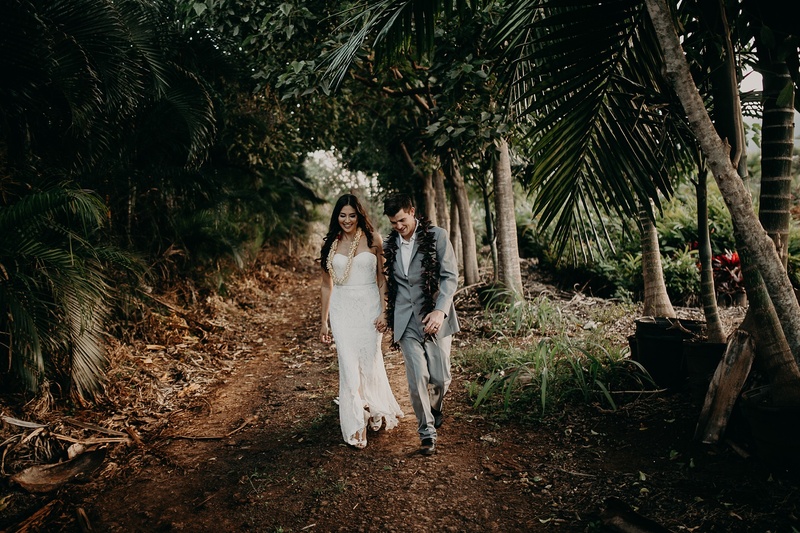 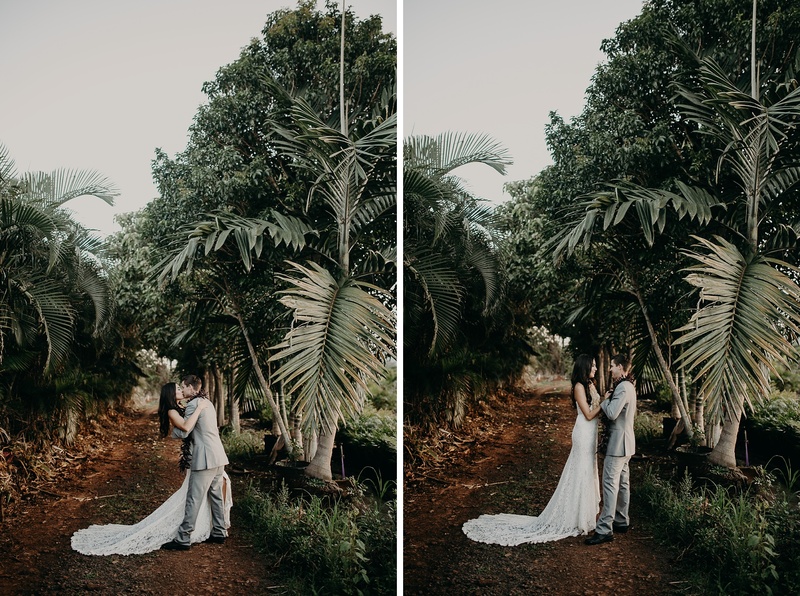 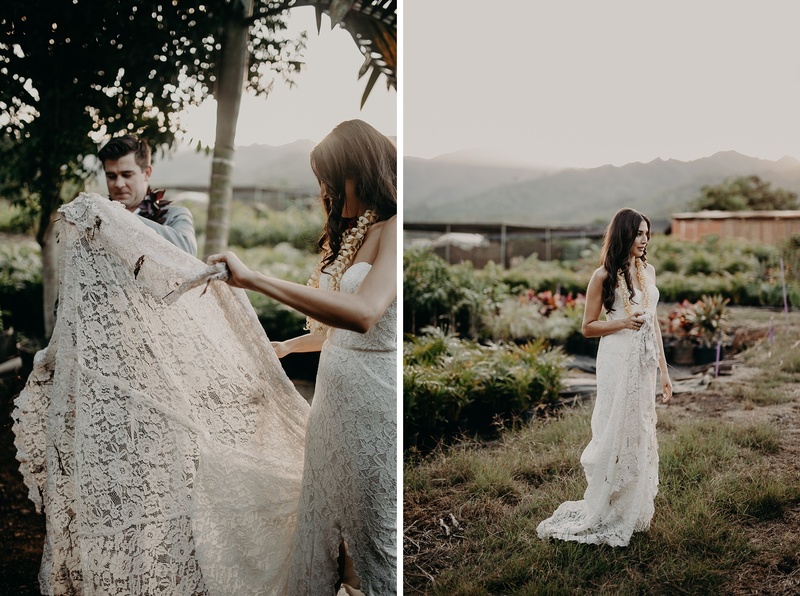 We were able to explore almost the entire property and had so much fun trying to get Bri and her beautiful dress from Love and Lace Hawaii into these old Hawaii sugar cane scenes.